This Thursday 25th April is Anzac Day. 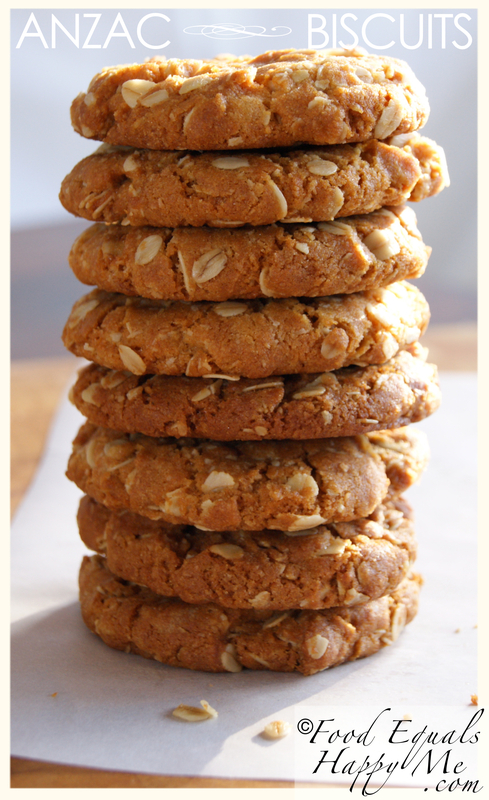 Not to detract from the meaning of Anzac Day, but whenever it comes around it always reminds me to make a batch of the best Anzac biscuits. 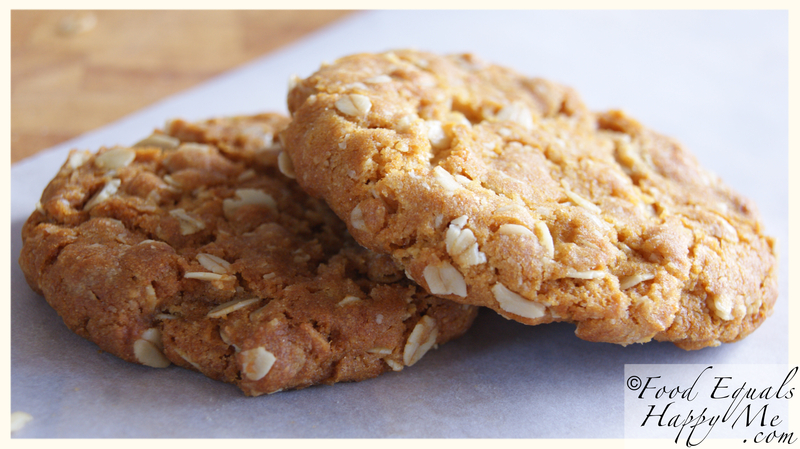 The history of the Anzac biscuit is that they date back to World War I. They were eaten by troops away from home, and were given instead of bread as they had a much longer shelf life. The recipe has changed a little since back then though, as they were once referred to as tiles because they were so hard! 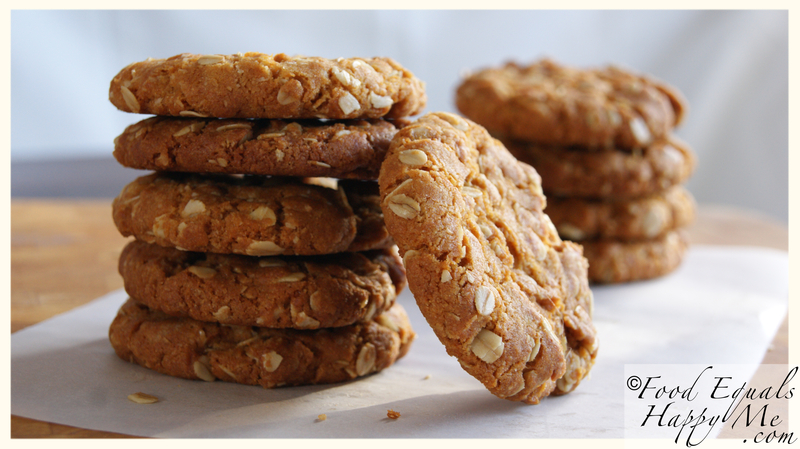 These days the Anzac biscuit continues to remind us of the Anzac legacy, and holds a sense of tradition. Not to mention the fact that they are simply the easiest biscuits to make, and oh so tasty. Put the oats, flour, sugar and coconut in bowl and mix to combine. In a saucepan on a low heat melt the butter and golden syrup. Mix the bi-carb soda with the hot water, and then add to the melted butter mixture (it will froth up). Add the wet mixture to the dry ingredients and mix to combine. Roll out spoonfuls of the mixture onto baking trays and bake in a pre-heated oven at 150 degrees celcius for 20mins. Leave to cool on trays. Now there’s a big divide amongst people, those who like their Anzac biscuits thin and crunchy, and those that like them soft and chewy. Personally I’m in the chewy camp, so I tend to make rather large balls of dough (roughly two dessert spoonfuls) to make them extra thick, and cook them for around 15mins or until just golden, so that they stay soft and chewy in the middle. those cookies certainly do look tasty!